Located on the western shores of the Black Sea, Romania has natural wonders and a rich cultural heritage. Sharing land borders with Ukraine, Hungary, Serbia, Moldova and Bulgaria, Romania is a very large country and enjoys cultural similarities with the other Balkan states. The country is often associated with the tales of Dracula, modeled after the real-life Vlad the Impaler. A valid passport is required for all non-EU visitors. The passport must be valid for the entire duration of the visit and should not expire before the date of departure. However, we recommend that your passport has at least six months of validity left. US and Canadian citizens, as well as citizens of New Zealand, Australia, and the majority of the European countries, are not required to have visas to enter Romania as long as their stays are less than 90 days. Return tickets are required for citizens of the UK and EU nations. No immunizations or health precautions are necessary to enter Romania. Additionally, Romania welcomes all pets with Official Health Certificates. Please be sure to check with your embassy for the correct procedures. I took a TAROM flight from Munich to Bucharest. It was very easy to purchase the air ticket online. The flight departed right on time. While it was a short flight time, sandwiches and a small cake were served. I was very impressed by the legroom, the onboard amenities and onboard WiFi provided even for economy class customers. The cabin crews were very helpful and mindful. Since I had a small child with me, they took extra care to ensure that I was not having any problems during the flight to Romania. It was a great experience for both my daughter and me. I enjoyed the journey to Romania. My flight was from Madrid, and the ticket was from Blue Air. Among many places I visited, my favorite is Village Museum located in Bucharest. I was able to see and experience Romanian traditions and houses with detailed decorations. It was an amazing village right at the heart of Bucharest. I was also happy to see lots of cheap souvenirs. 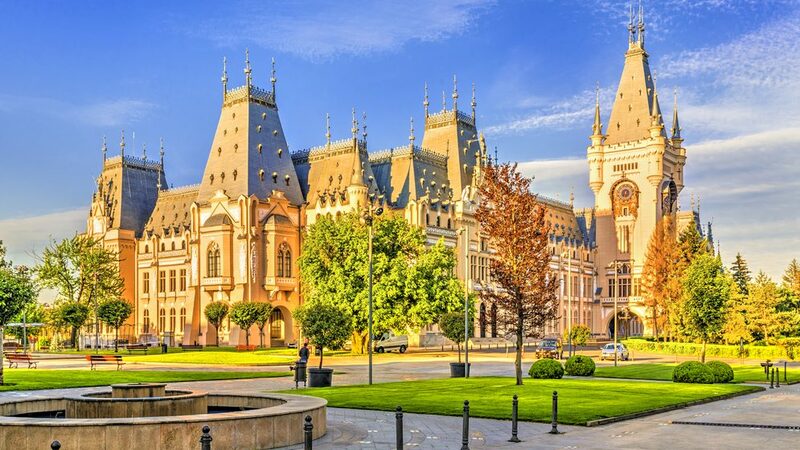 One tip for people considering visiting Romania is to buy air tickets at least 2 months in advance to get the best rate. I bought an air ticket from Athens to Bucharest on TAROM to meet one of my colleagues there. The flight was almost full but it did manage to depart on time. WiFi was provided on the flight, and meals and drinks including alcohols were free of charge. I was very surprised and satisfied because of that. I will definitely buy a TAROM air ticket in the future too. Q. What is the weather like in Romania? A. Romania has temperate continental climate and the average temperature ranges from 11 degrees Celsius in the south to 8 degrees Celsius in the north. The summer months can be pretty hot as temperatures can easily reach 30 degrees Celsius and the winter does get very chilly with temperatures getting as low as -20 degrees Celsius in some places. So the majority of the tourists prefer to visit Romania during summer and buy air tickets according to their weather preference. Q. Is it safe to drink tap water in Romania? A. The tap water in Romania is considered to be safe to drink. But waters from public water fountains should be avoided. It is advisable to stick to tap water or packaged drinking water bought from local super-markets in Romania. When you are buying an air ticket for your trip, always ask your travel agent about the drinking water situation at your destination for further information. Q. When should I book an air ticket to Romania? A. For people who want to enjoy winter sports, January, February and March are the recommended time to get air tickets, and the temperature will be around -15 to -20 degrees Celsius. Summers in Romania tend to be hot, so those interested in Transylvania’s festivals and hiking trails should get tickets for this time. In spring and autumn, bird migration can be observed. Bird watchers should book their tickets for those seasons. Henri Coanda International Airport is the largest airport in Romania. Air tickets for direct flights from London and Paris are the most popular and frequently bought. The major carriers flying to Romania include Air France, Austrian Airlines, British Airways, and Lufthansa.